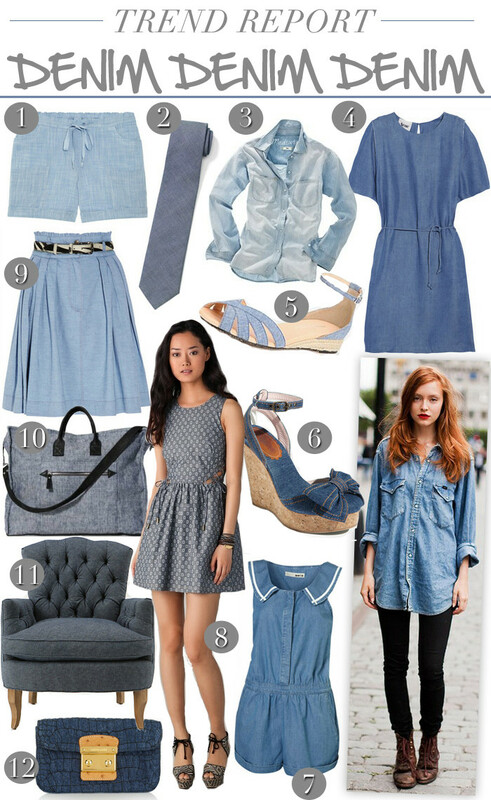 The all-over chambray + denim look (aka the Canadian tuxedo) is back and better than ever. Whether you wear all blue or play around with printed denim, do it right with some pieces like the ones above. You can also get some shoes, bags and even furniture in this cozy fabric.